So in South Africa, we have this weird microcosm effect where people feel it’s useful to redo things locally. It came about due to various factors, and there are sometimes some useful advantages (job creation when you’re dealing with products people could make by hand, for instance). The rest of the time, I just don’t see the point. 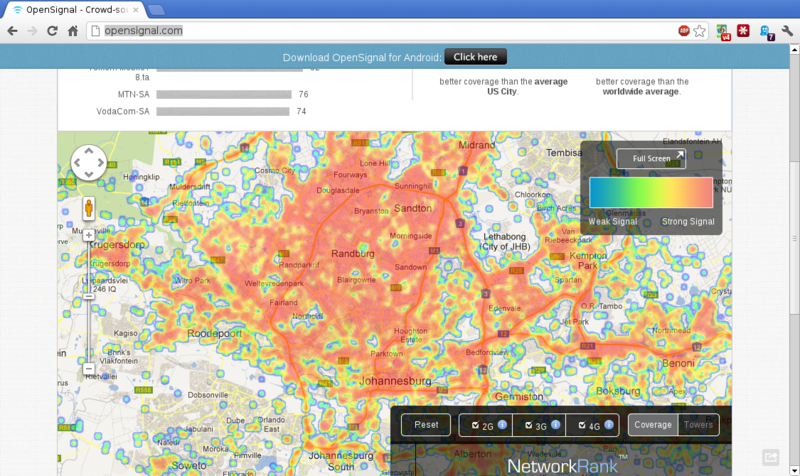 Case in point, MyBroadband recently started pushing some initiative called Gr8Signal. It’s purpose? To map out cellphone network signal info. “This sounds eerily like OpenSignalMaps“, some might say, so let’s compare their features quickly. Seriously, that’s it. You can’t compare different operators, or even use more than one at a time. Okay, so it’s a new project. Maybe it still needs to get some basic features. Let’s compare their interfaces. 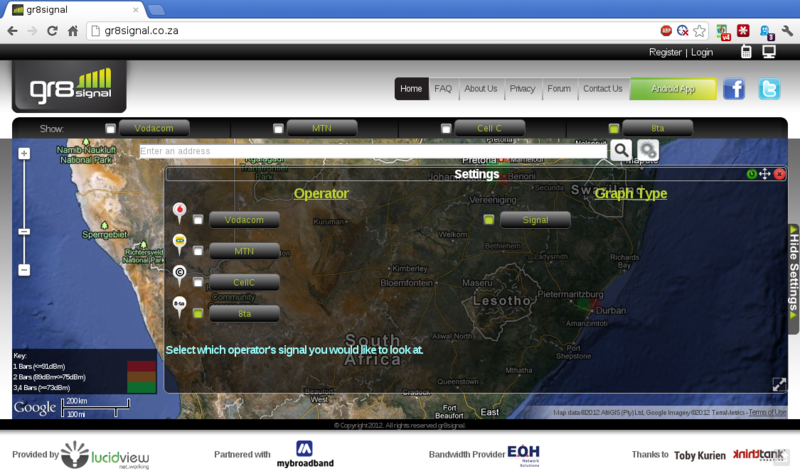 I searched for “Johannesburg, South Africa”, and the first maps I get are an aggregate coverage heatmap for all available operators across all signal bands, the capability to filter based on a variety of options, and – if I click on the “Advanced view” (not shown here, but it’s that bar left left of the “NetworkRank™” section) – I get speed, latency, and reliability information. Now let’s look at Gr8Signal. Yup, seriously. No ability to compare operators. The views are in blocks (…you guys do know how cellphone signal works, right? Fluid display is *far* better). The default map choice makes it ridiculously hard to see detail clearly. The overall feeling of the website is about as awesome as the SAWS page was. You know, that one where you could flatline your CPU by racing your mouse over the zooming menu icons. Overall, I just don’t understand the point of this project. The data already exists in a much more useful form elsewhere, alongside wider coverage. So that’s about it. Let’s see what the MyBB guys have to say. Update: I feel I should add that the reason I seem annoyed about this is the perpetual case of people just doing something “local” for, seemingly, no more reason than doing it “local”. If they brought something competitive to the table, or offered a better product, I’d totally support that. This very seldom seems to be the case. Why should we keep dishing out subpar products in the .za market? It just gives us a name as bad imitators. China 2.0.